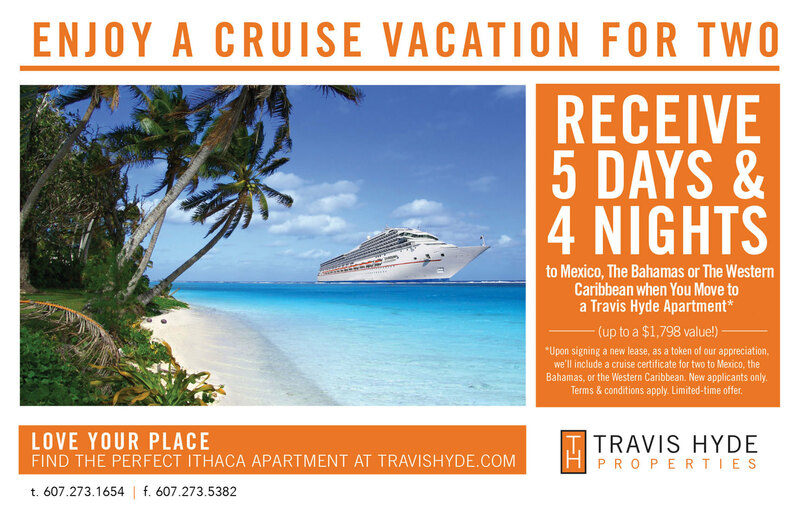 Find the perfect Ithaca Apartment with Travis Hyde Properties and receive a 5 day & 4 night cruise vacation to Mexico, The Bahamas or The Western Caribbean. *Upon signing a new lease, as a token of our appreciation, we'll include a cruise certificate for two. New applicants only. Terms and conditions apply. Limited-time offer.